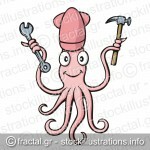 Pink smiling squid cartoon with wrench and hammer on white background. 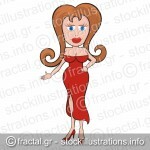 Cartoon illustration of a young woman in red dress. 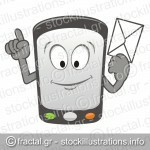 Cartoon mobile smart phone holding a message envelope and smiling. Smiling pink piggy bank cartoon illustration on white background looking front. 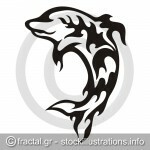 Cartoon of smiling bulb giving thumbs up and holding a coin. Tooth cartoon smiling with toothbrush and toothpaste. 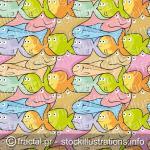 Cartoon illustration of sea creatures. 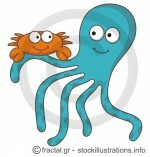 Crab playing with octopus.